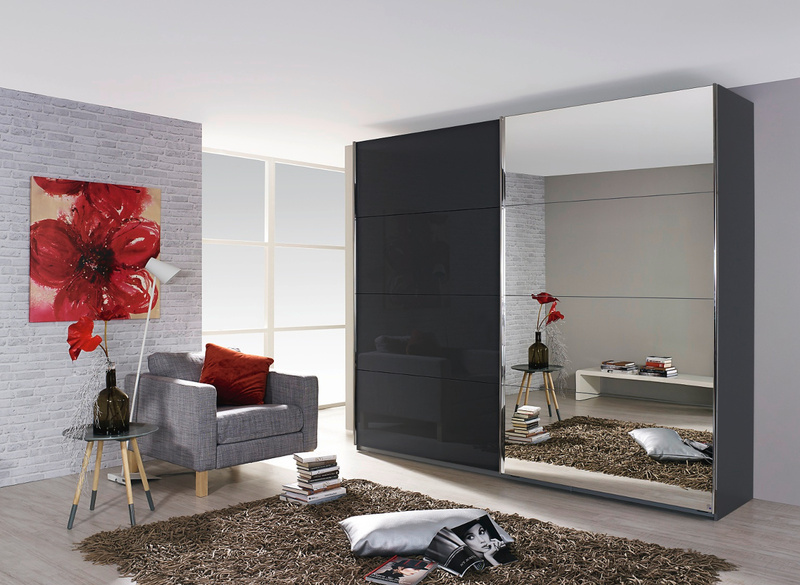 Are you looking for Wardrobes that tick every box from style to quality, functionality, versatility and value for money? 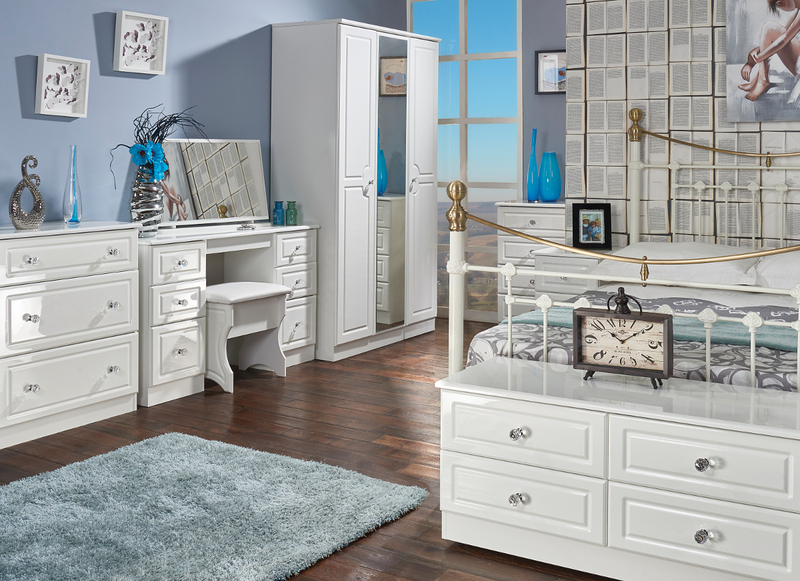 Then a visit to P&A Furnishings is a visit to the right place. 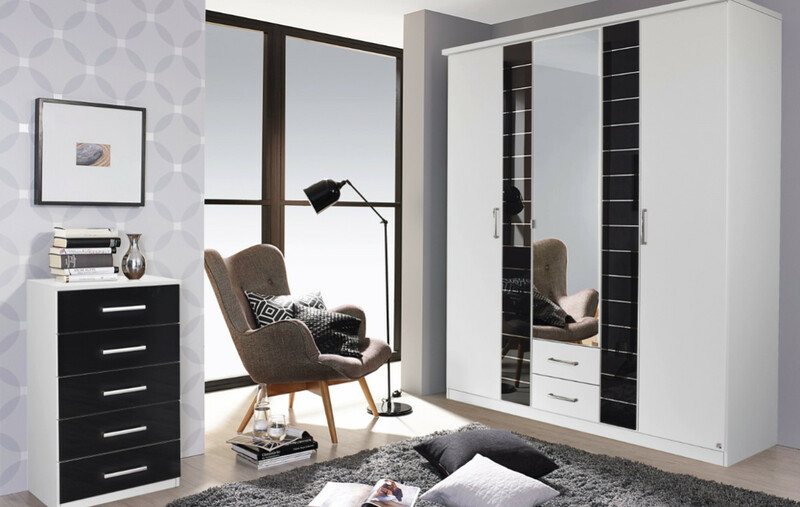 We sell a huge range of modern, stylish, quality Wardrobes which are available in hundreds of different options including varying designs, sizes, finishes, colours and combinations. 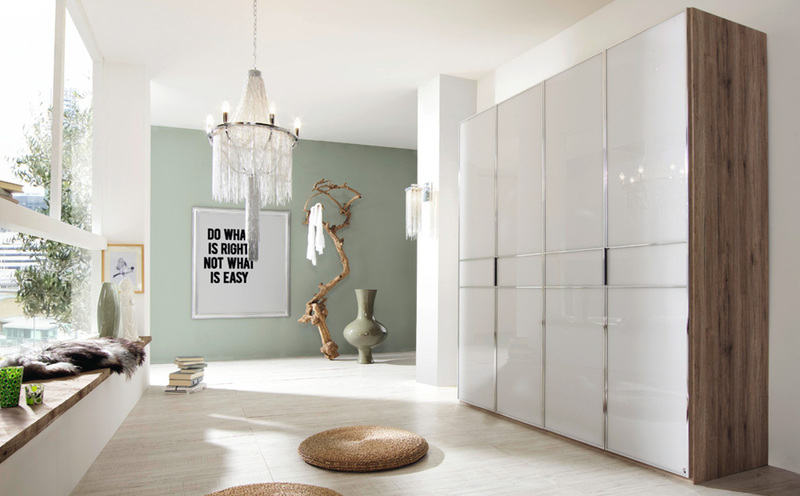 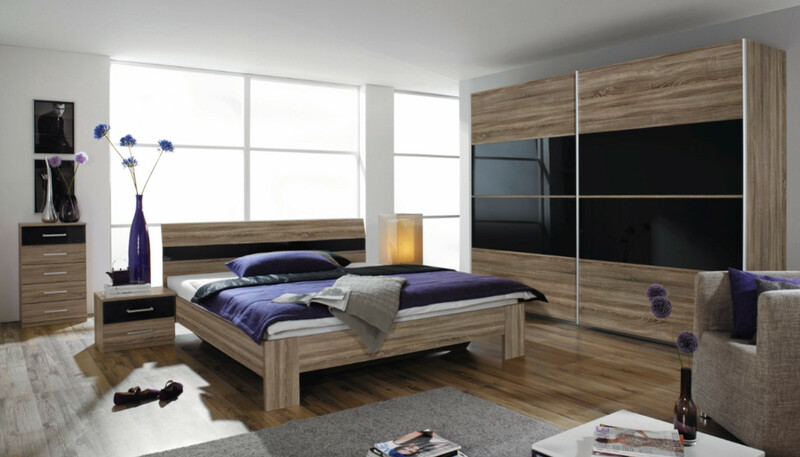 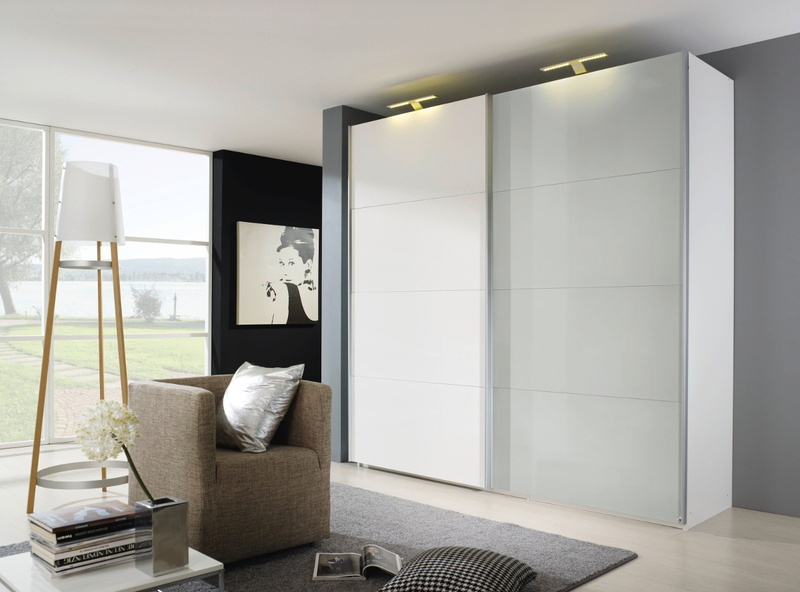 We largely sell German Wardrobes due to their superior quality and versatility. 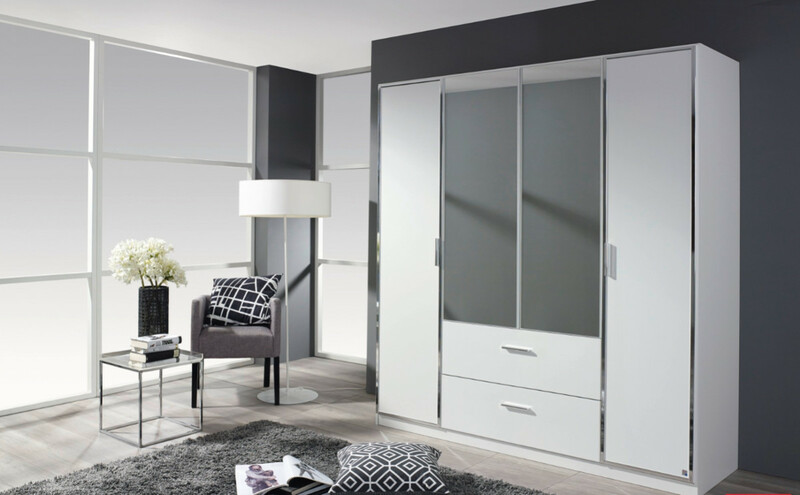 At P&A Furnishings you can browse a large variety of our ranges including Sliding Wardrobes, Corner Wardrobes, Combination Wardrobes and more all available in different options to suit you. 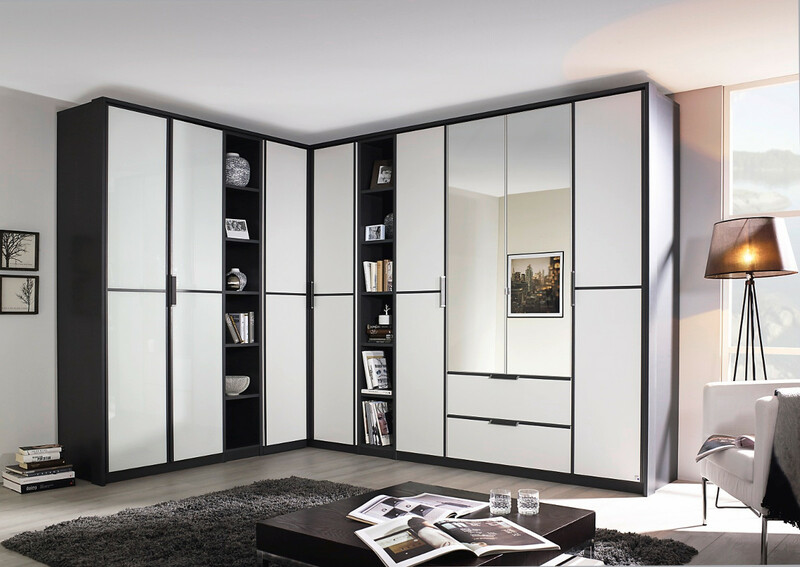 All of our wardrobes are also fully customisable on the interior so you can tailor your wardrobe to suit your storage requirements. 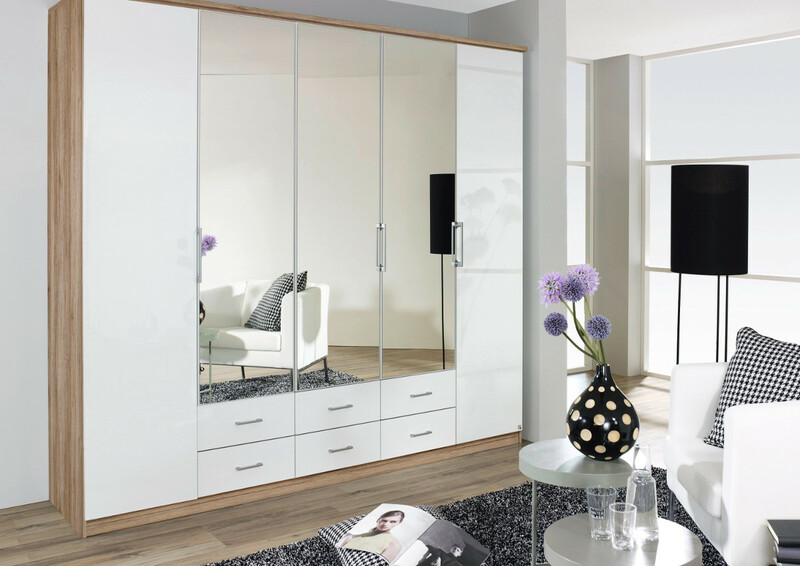 We also offer a delivery and fitting service so your wardrobes can be fully assembled for you if required. 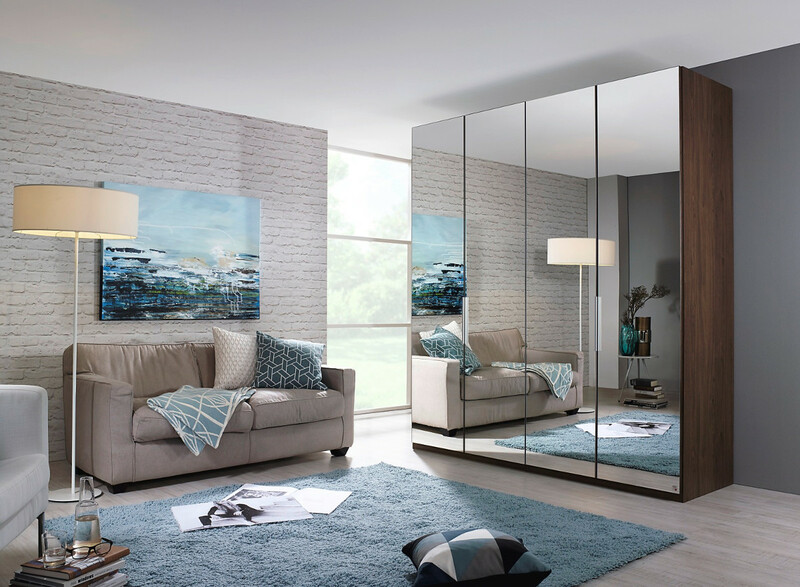 Visit us in store with your room sizes to browse our amazing collection of wardrobes and so we can best advise on the options to suit your space. 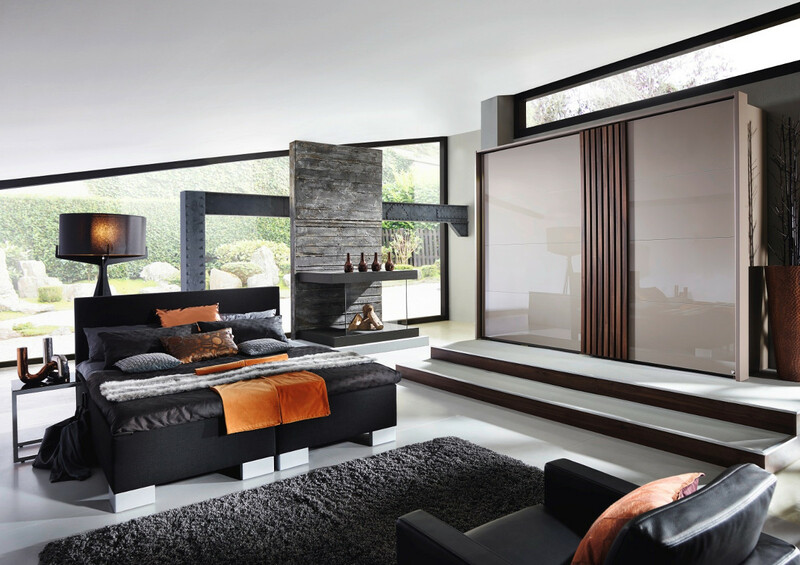 Home visits can also be arranged for those who may need assistance in measuring. 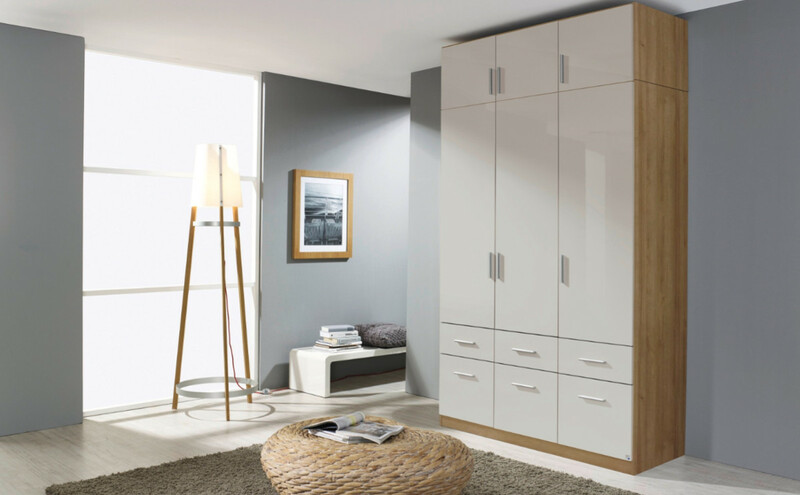 Read on for some further information on our wardrobe ranges and browse the gallery above to see some of our models. 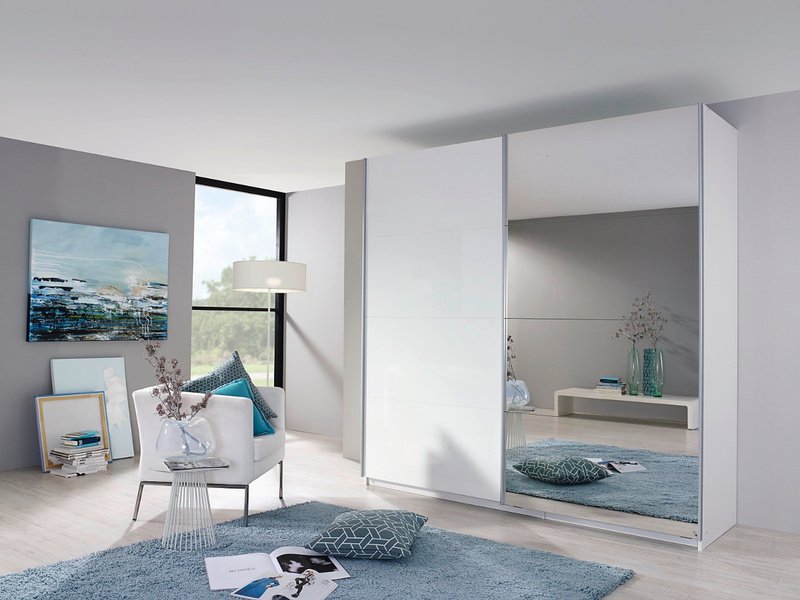 Our wardrobes are available in varying sizes, from 1.97cm to 2.35cm high and 45cm to 4m wide. 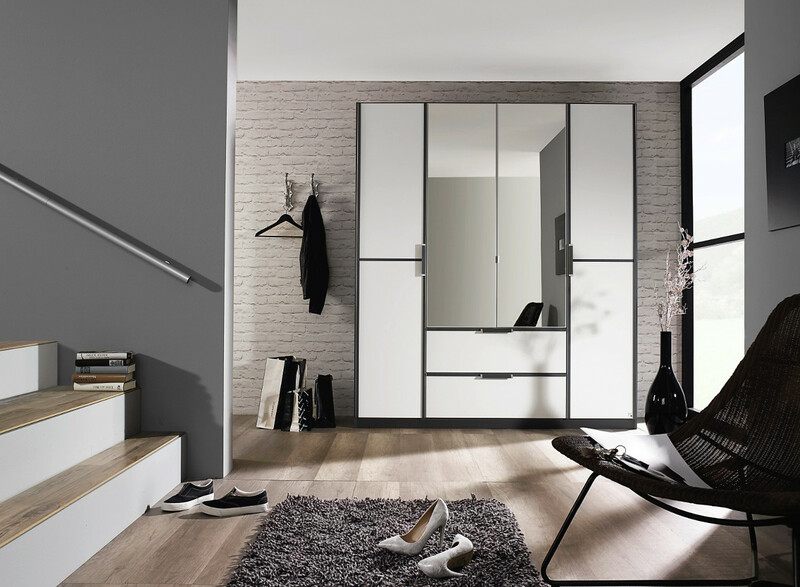 Our freestanding wardrobe ranges are available in an assortment of sizes so we can help you to select the best sized model to fit and make the most of your space, helping you to achieve a semi-fitted look in your room. 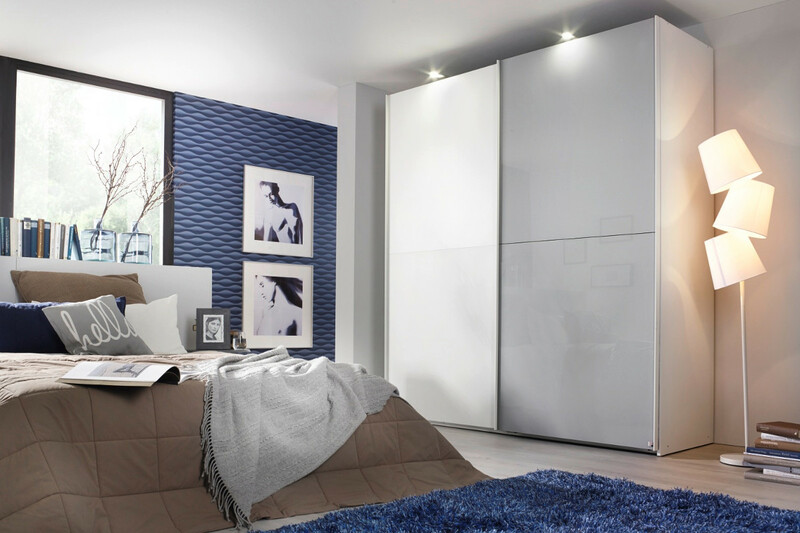 Our ranges include sliding wardrobes, combination wardrobes, hinged door wardrobes, walk in wardrobes, corner wardrobes, over-bed wardrobes and top-box wardrobes. 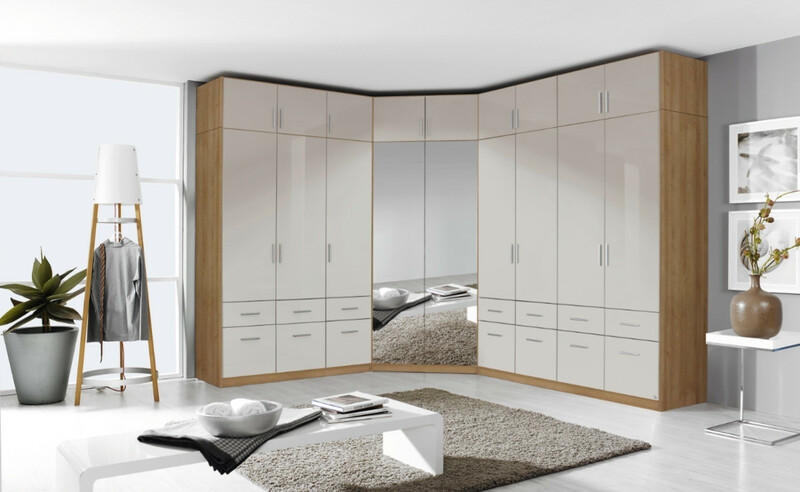 Wardrobes are also available as flat pack if preferred or we can fully assemble your wardrobes for you. 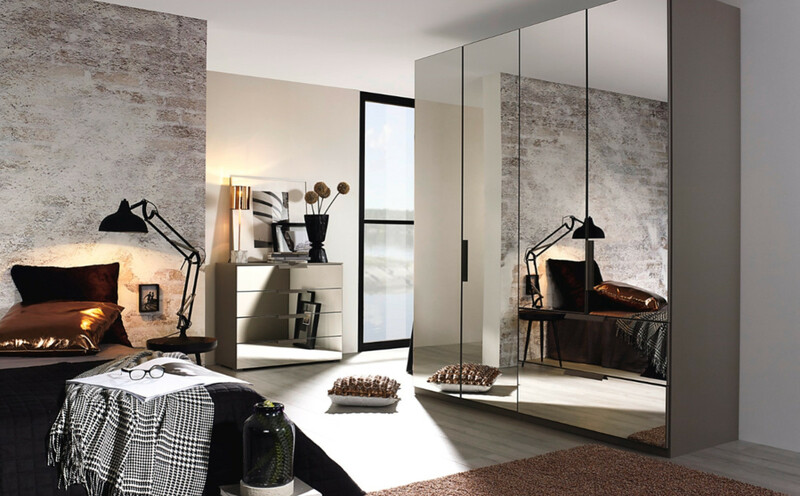 There are a number of different door types you can select from depending on your preferred style, from hinged door robes to bi-folding doors or sliding robes. 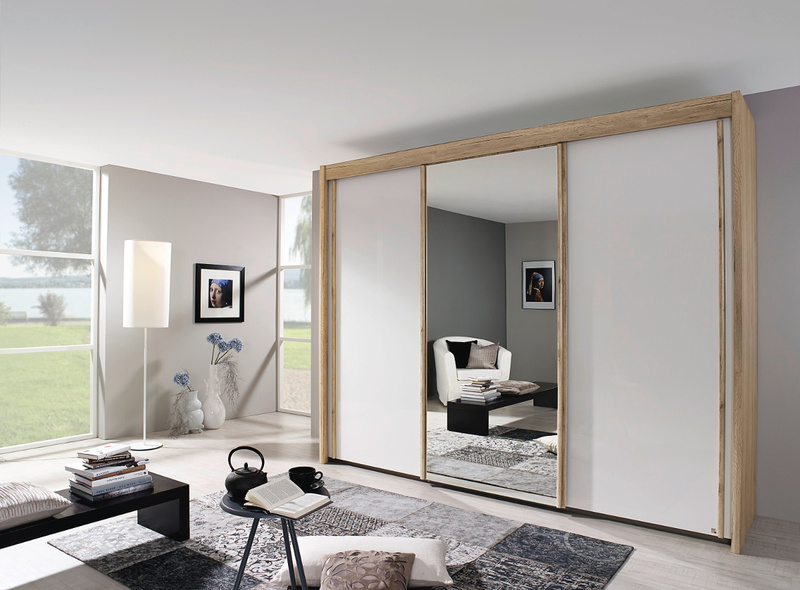 Bi-folding and sliding doors are ideal space savers as you do not need to account for extra clearance space to open doors. 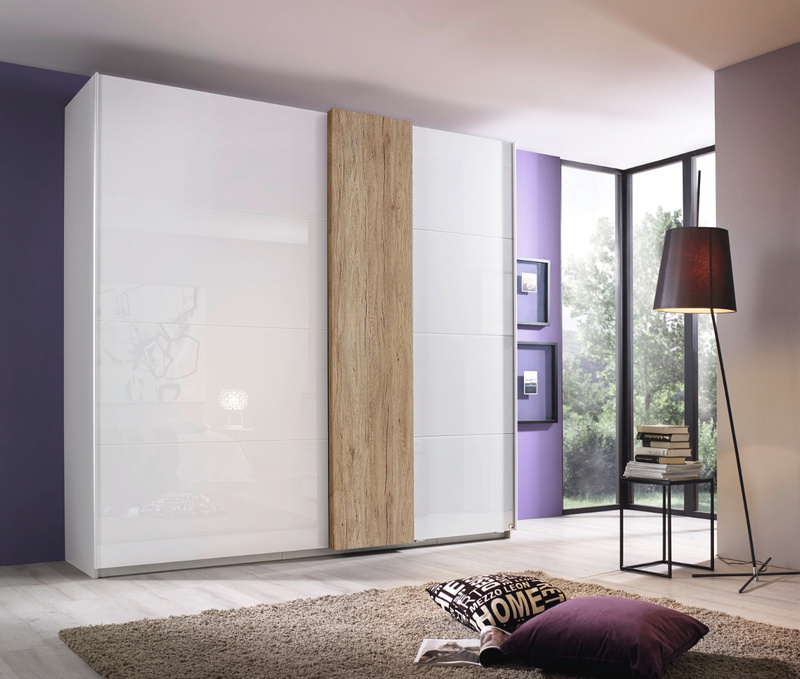 Sliding doors also provide easy access to your belongings and are both modern and stylish. 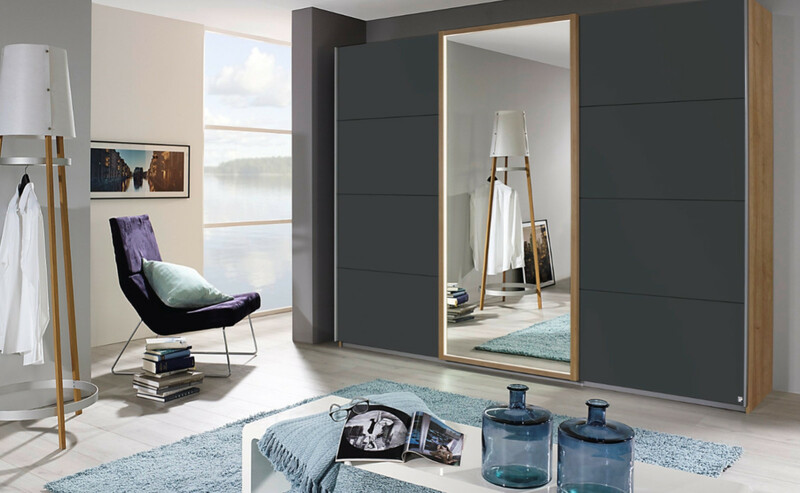 Our wardrobe doors also have a variety of finishes from high gloss doors, matte finish doors, wooden doors, wood grain doors, veneered doors, painted doors, lacquered doors, polyester doors and glass front doors. 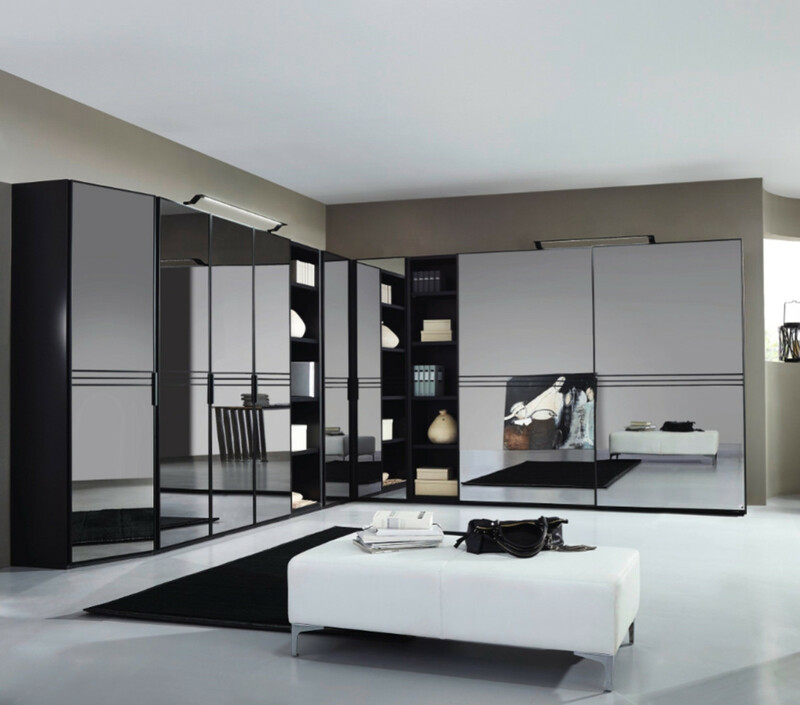 Our wardrobe offering is made up of a large variety of configurations. 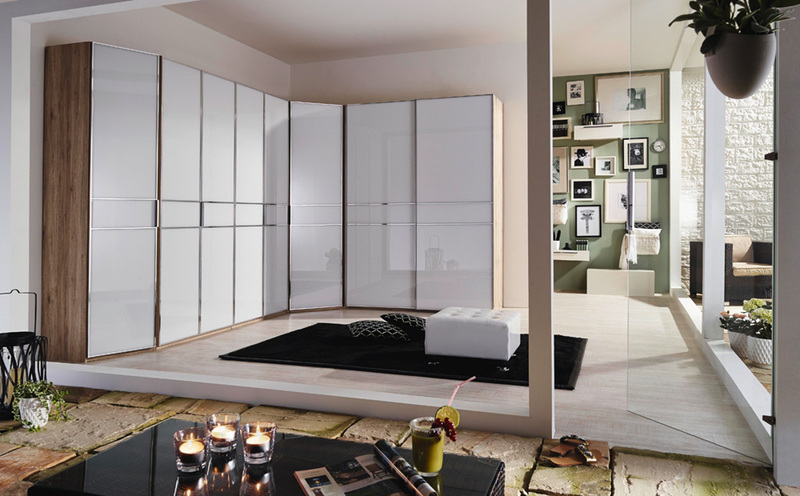 You can select wardrobes with more hanging space, drawers or shelving depending on your storage requirements. 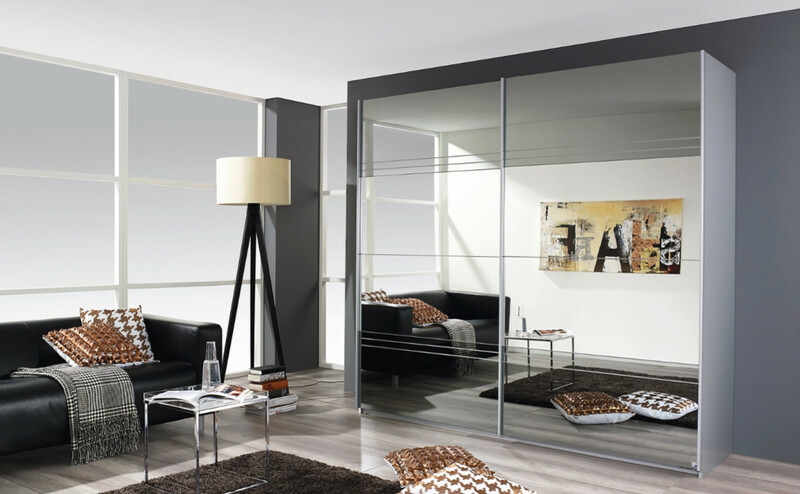 Combination options are available as well as a choice between full-length hanging space for longer items or half-height rails which can be doubled up. 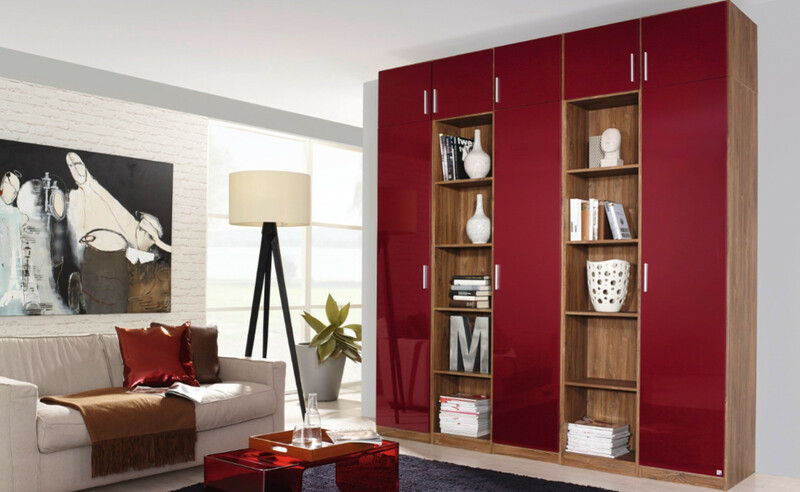 Adjustable shelves are also an option and are ideal if your needs are likely to change over time. 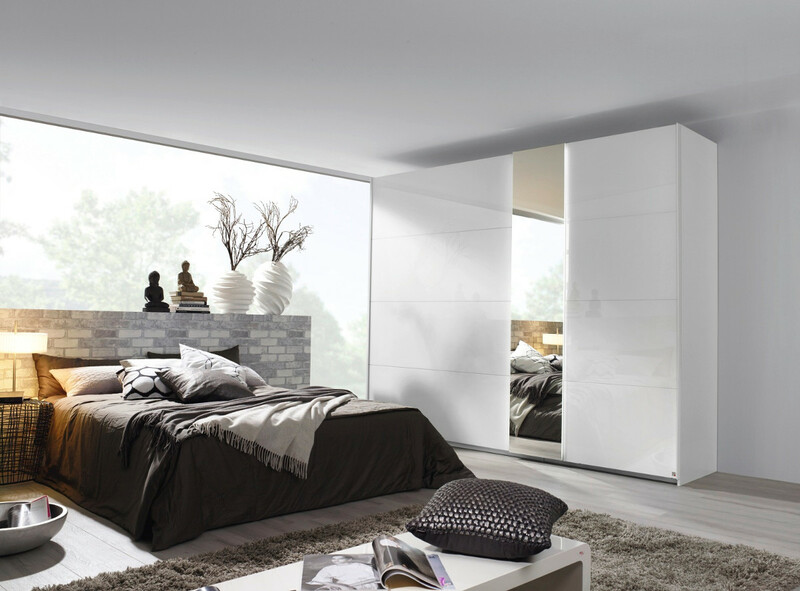 We have both soft-close door and soft-close drawer options on many ranges. 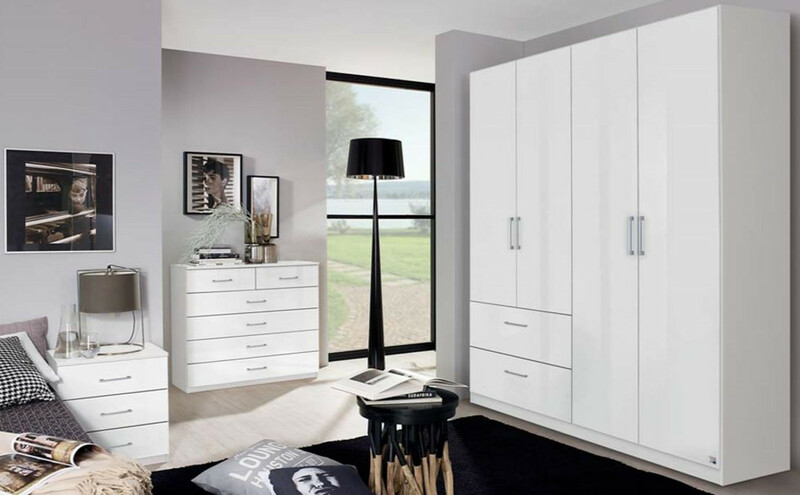 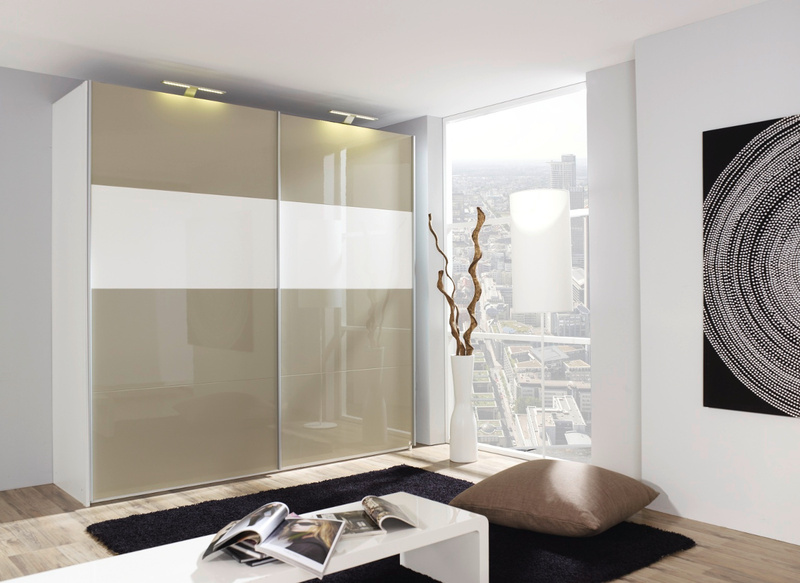 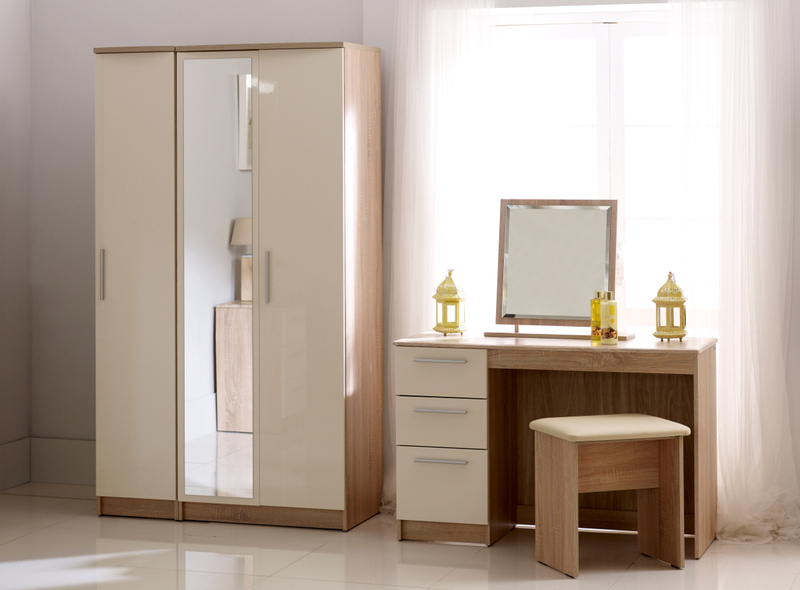 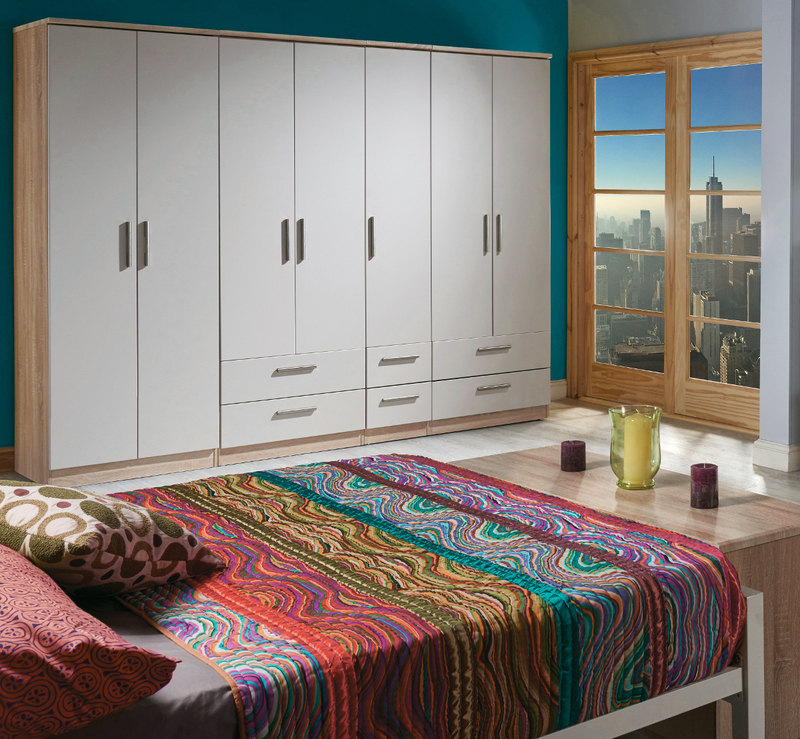 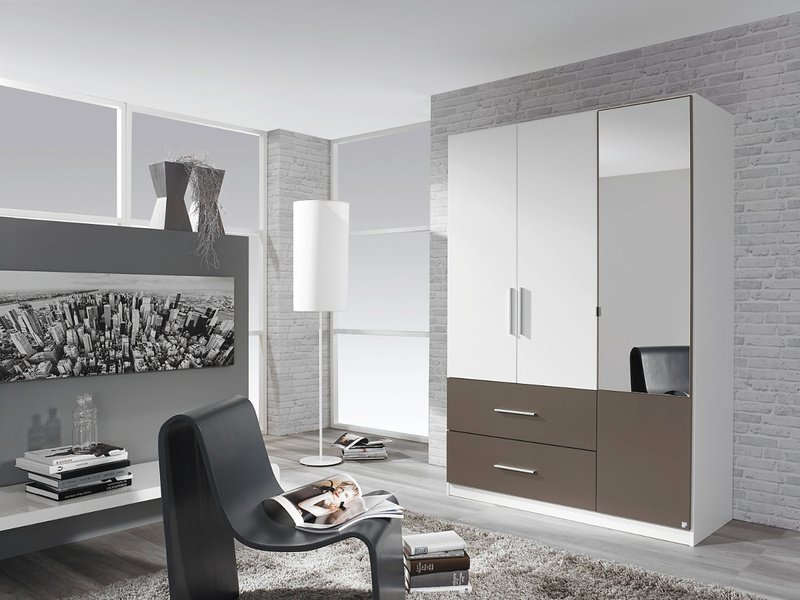 Our wardrobes have a variety of finishes to choose from to suit your desired room theme. 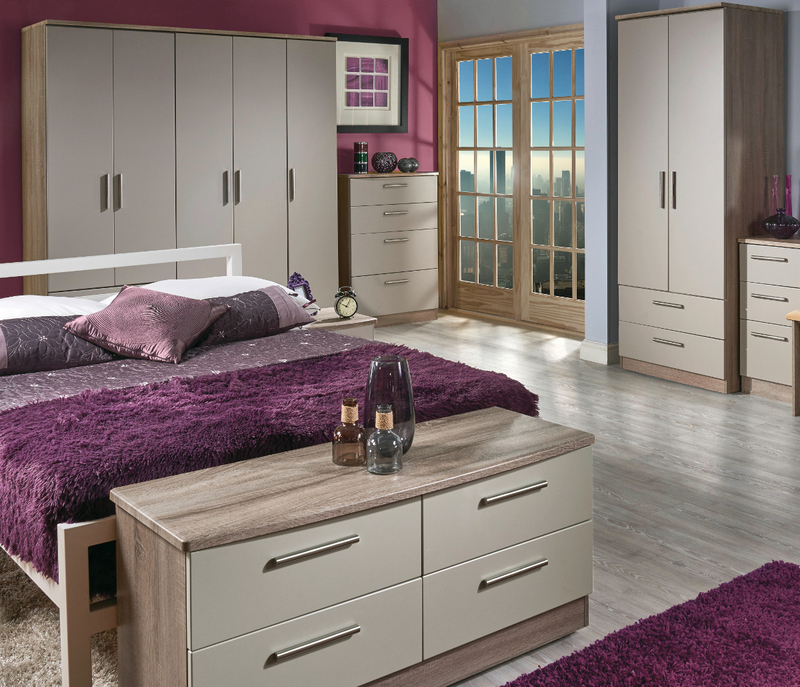 We stock a range of traditional wardrobes including wooden and solid oak and wardrobes with foil, veneer and painted finishes. 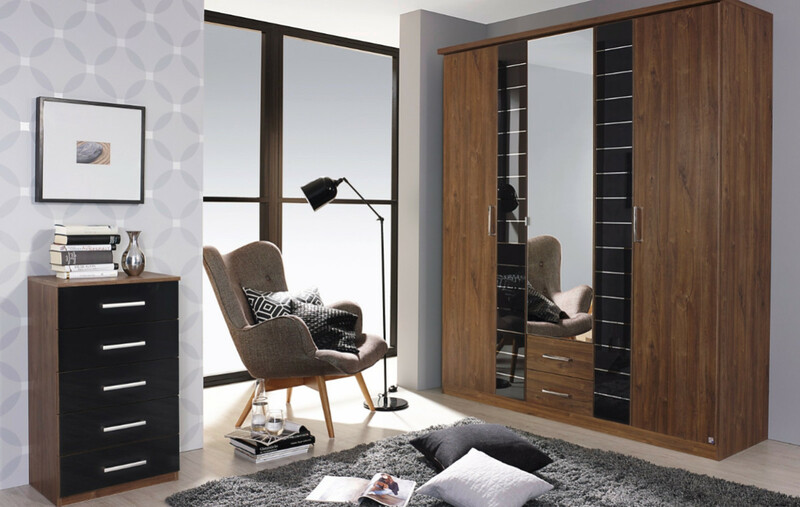 Our wardrobes are available in most colours including popular shades of light wood and dark wood, light oak and dark oak, beech, walnut and the German wenge shade. 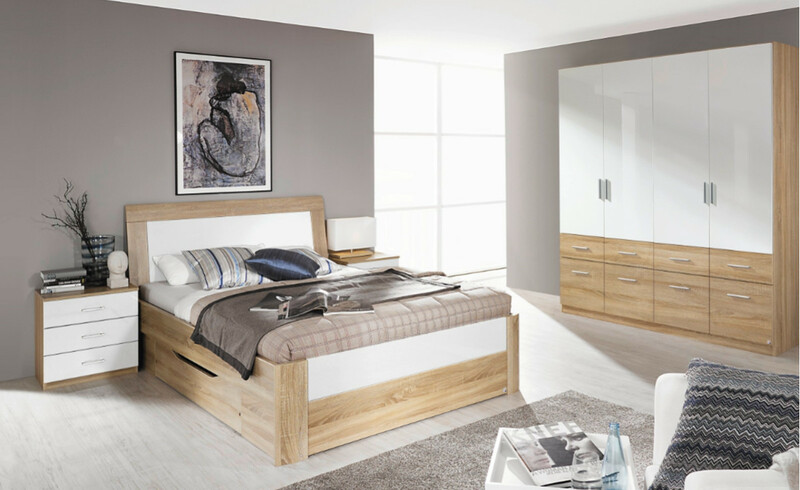 We also stock more contemporary models such as mirrored wardrobes, glass front wardrobes, high gloss wardrobes, matte finish wardrobes and satin finish wardrobes in a range of shades. 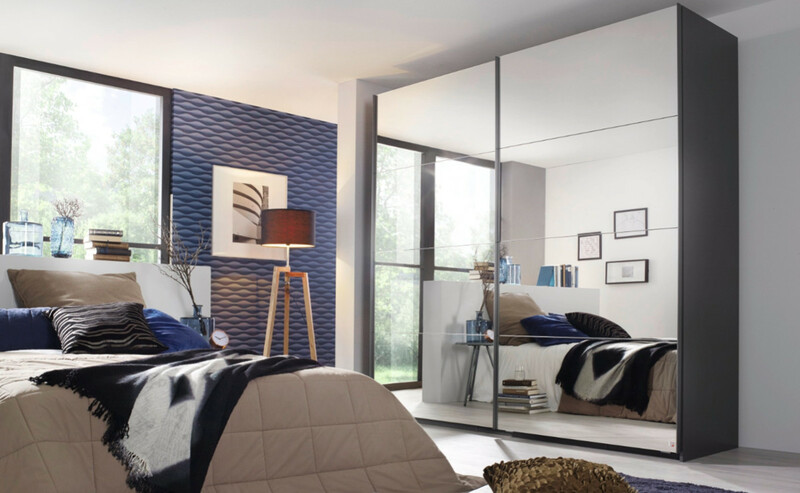 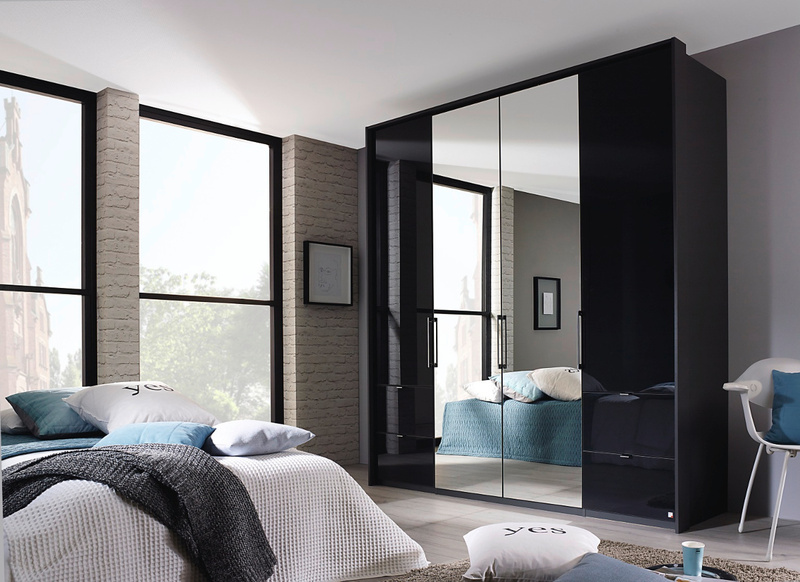 Mirrored wardrobes are an ideal choice as they are multi-use, providing you with a built-in dressing mirror, not to mention the added reflective benefit of making rooms look more spacious. 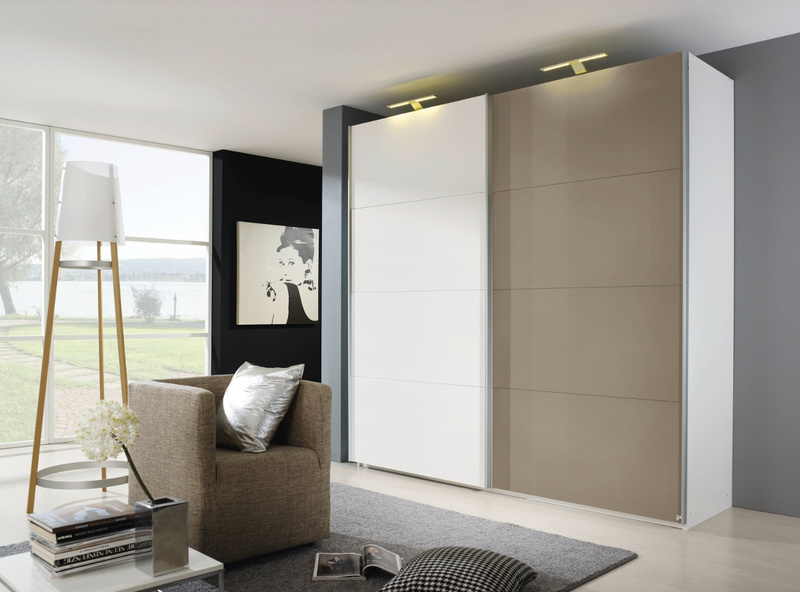 Many of our wardrobes also have added design features such as lighting on exterior panelling. 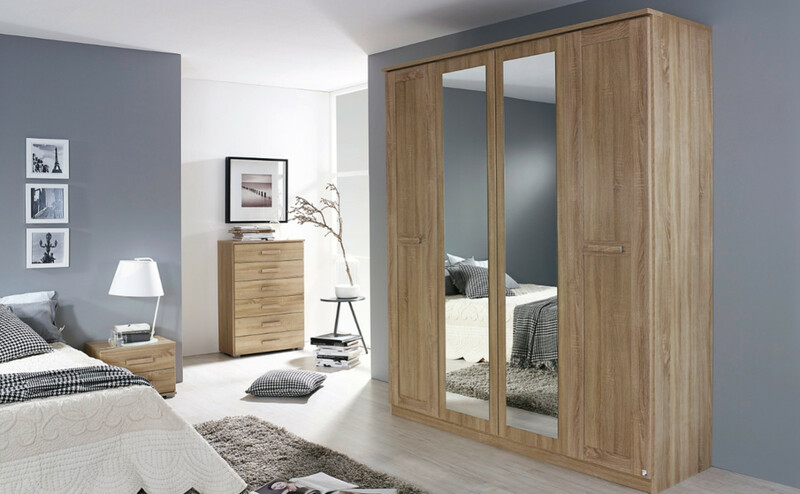 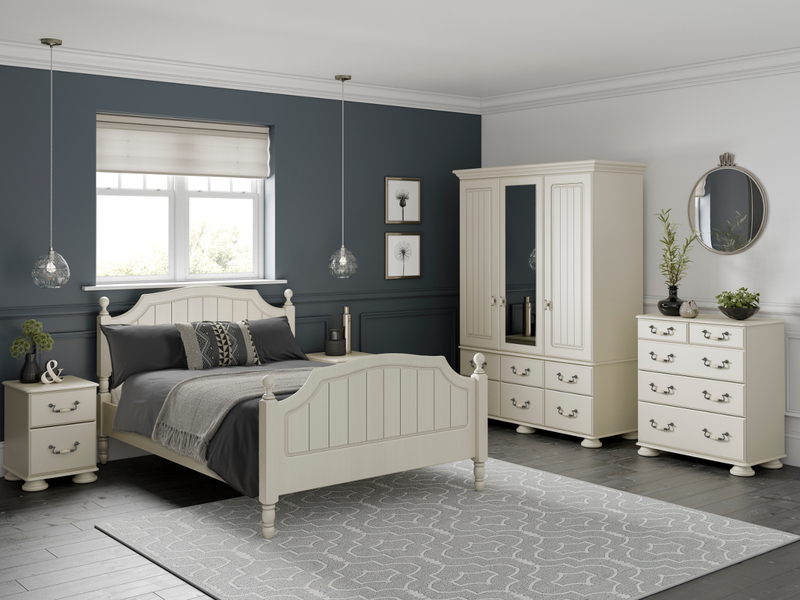 See a selection in the above gallery of some of the wardrobes we sell, however with such a range on offer, we advise you to visit our showroom to view the quality of our products first hand. 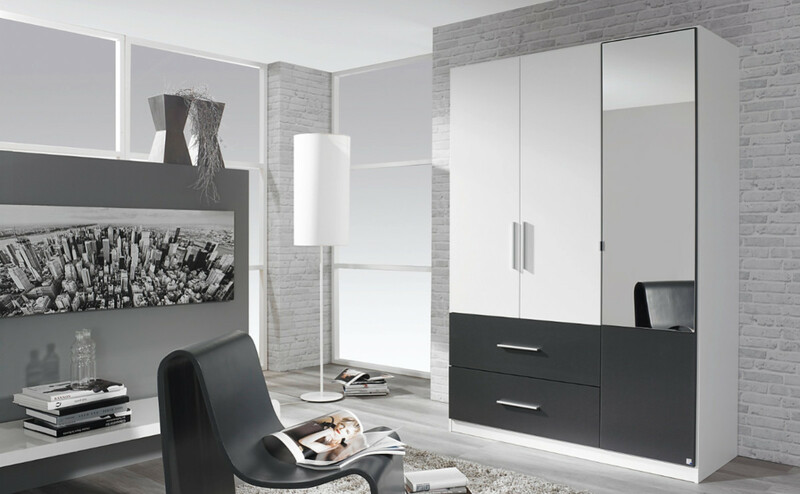 We stock wardrobes from many leading international manufacturers including superior quality German wardrobes, Italian wardrobes and British wardrobes. 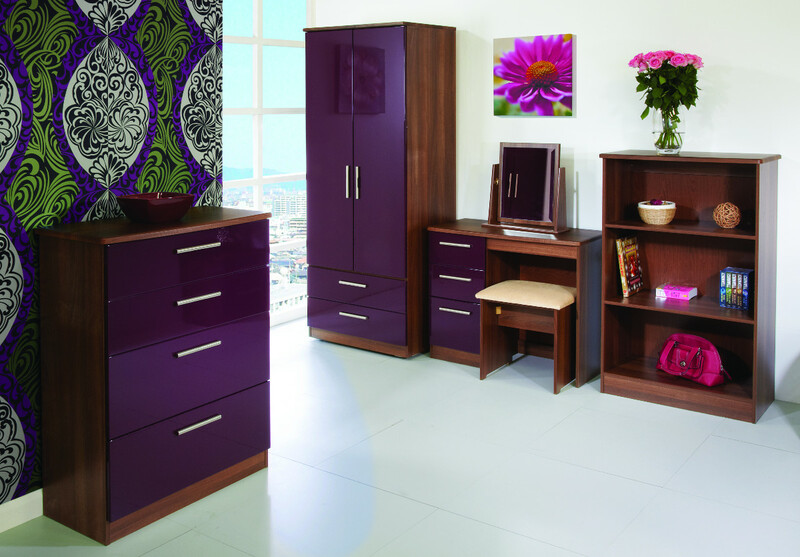 Whatever your requirements, we will provide you with a quality wardrobe at the best price.